SACRAMENTO, Calif. /California Newswire/ — Today, the Calif. Senate Public Safety Committee passed legislation to reduce the number of hit-and-runs on a 7-0 vote. 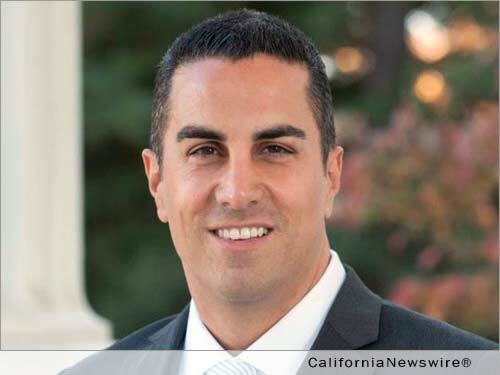 AB 8 by Assemblyman Mike Gatto (D-Glendale) will institute the “Yellow Alert” system, allowing law-enforcement officials to engage drivers in helping identify and apprehend hit-and-run drivers. The bill will permit law-enforcement officers to use the state’s existing network of freeway signs to broadcast information about vehicles suspected in hit-and-run incidents. Alerts will only be issued by local law-enforcement when there is a sufficient description of the offending vehicle or the identity of the suspect is known. The “Yellow Alert” system will also be limited to the area where the hit-and-run crime occurred and will only be used when the hit-and-run results in death or serious bodily injury. When Denver instituted a similar alert system in 2012, they saw a 76% arrest rate in cases where the alert was activated. The success of the program prompted Colorado’s legislature to implement the program statewide. Hit-and-run accidents are becoming so out of hand that local officials and community members are starting to take action themselves. Los Angeles City officials are now offering a $50,000 standing reward for information in hit-and-run cases, and the mother of a hit-and-run victim in Orange County, Julie Creed, has petitioned every city in that county to create a hit-and-run alert system. L.A. Weekly reported that, in 2009, 48% of collisions in Los Angeles were hit-and-run incidents and USA TODAY called Los Angeles “ground zero” for hit-and-run incidents. The Los Angeles Police Department reported that 80% of all hit-and-run crimes were unsolved from 2008 to 2012. However, the problem goes beyond the Greater Los Angeles Area. An article by the East Bay Express revealed that in 2014, only 3% of hit-and-run crimes in Oakland involving bodily injury led to charges being filed. In 2013, Gatto authored AB 184, which doubled the statute of limitations to prosecute hit-and-run drivers. In 2014, he authored AB 47 and AB 1532, the latter of which would require mandatory license suspension for anyone convicted of a hit-and-run involving a person. Despite the bipartisan support and narrowly tailored language of AB 47, Governor Brown vetoed the bill last September.